At UCLA Bariatric Surgery in Los Angeles, California, we are nationally known for the expertise and comprehensive care we offer for patients dealing with obesity. Our surgeons have among the lowest complication rates in the U.S. for even the most complex bariatric procedures, including revisions of previous bypass surgeries that have not produced the desired results. Learn more about gastric bypass surgery at UCLA. Should I Get Gastric Bypass Revision Surgery? To speak with a specialist about whether revision surgery is right for you, please call our office at 310-825-7163. 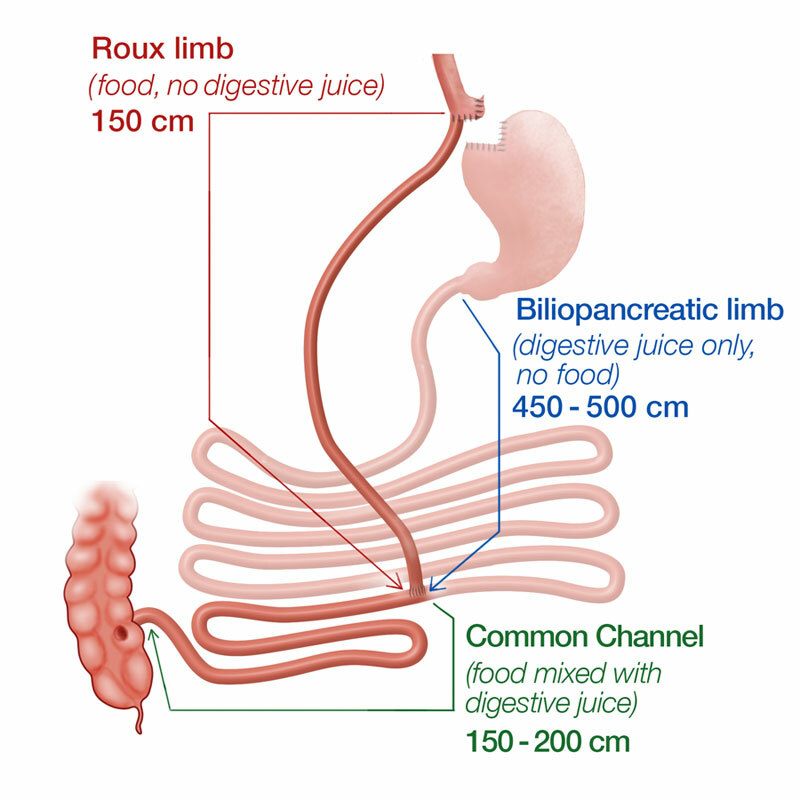 The roux-en-Y gastric bypass surgery is the gold standard of bariatric surgery. On average, patients lose about 60-80% of their excess weight after surgery. However, not everyone loses the same weight after gastric bypass surgery. Studies have shown that up to 15-35% of patients regain significant amount of weight back or fail to achieve adequate weight loss after surgery, which is traditionally defined by excess weight loss <50% or a BMI >35. This rate might be even higher in super obese patients (BMI >50). For these patients, medical management and lifestyle changes are the mainstay of treatment. If they fail the medical management and suffer from obesity, distal gastric bypass surgery might be an option for them to lose more weight and control comorbidity. This minimally invasive procedure is designed to treat weight regain after gastric bypass surgery. This procedure can help you to lose more weight after weight regain by reducing your ability to absorb food and calories. Advantage of distal gastric bypass surgery? Compared with endoscopic gastric pouch suturing, distal gastric bypass offers more durable and significant weight loss. Compared with surgical pouch revision, distal gastric bypass surgery has much lower risks. Most surgeries are done laparoscopically and most patients can go home after 1-2 night stay in the hospital. 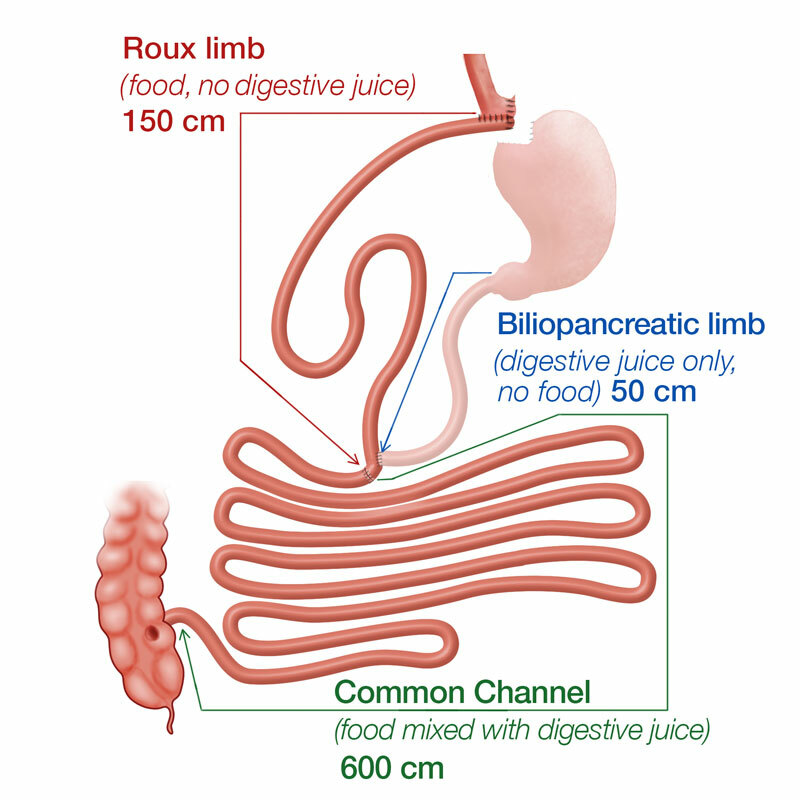 What are the potential complications of distal gastric bypass and what are the potential treatment? Because of the malabsorption, there are risks of malnutrition and excessive weight loss. All patients need to take higher dose of vitamins for life. Most patients will have more bowel movements after the surgery. Some patients may develop diarrhea. The low FODMAP diet may help relive the diarrhea symptoms. The average of the adult human small intestine length is approximately 600-800 cm. The digestive juice from liver and pancreas contains chemicals and enzymes to help digest the food in the small intestine. After digestion, the nutrient of the food is then absorbed. The food is mixed with the digestive juice throughout the entire small intestine. During the standard Roux-en-Y gastric bypass surgery, the first food does not meet the digestive juice in the first 200 cm of the small intestine. Although gastric bypass surgery is mostly a restrictive procedure, it has some malabsorption component. In the distal gastric bypass surgery, the surgeons divide the Roux-limb from the original position and connect it to the very distal part of the small intestine (about 200 cm from the end of the small intestine). 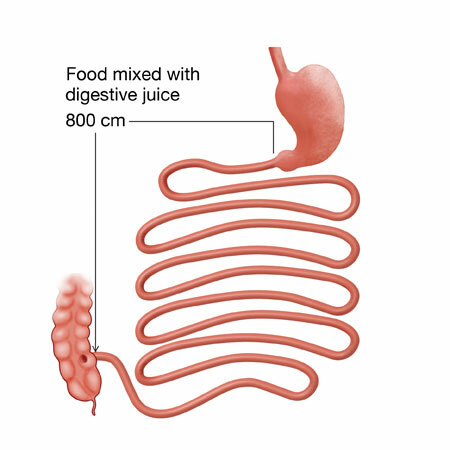 In this case, the food is only mixed with digestive juice in the last 200 cm of the small intestine, thus significantly decrease the absorption of the food. With much less absorption, patients can lose 60% of their excess weight again. *Weight loss results can vary depending on the individual. There is no guarantee of specific results.